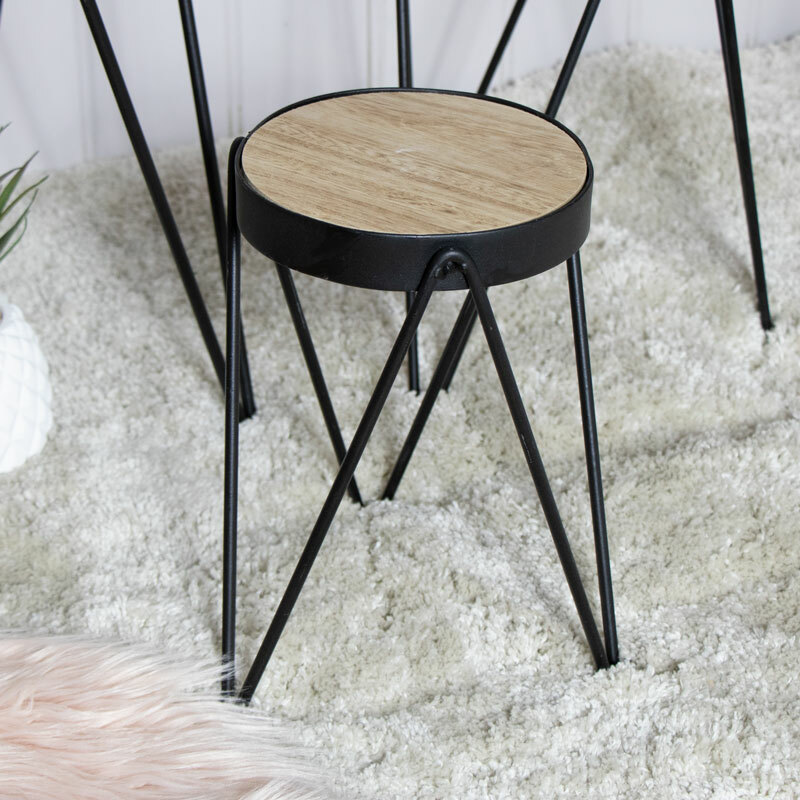 Add a rustic, retro and industrial feel to your decor with this set of 3 tables. From large to small in size, these are perfect for use as side tables or plant stands. Ideal for use in the living room or hallway. Nested design with the 2 smaller tables fitting inside the larger table. Use as a set or separately for a great look. The tables feature hairpin style legs with a round tabletop. 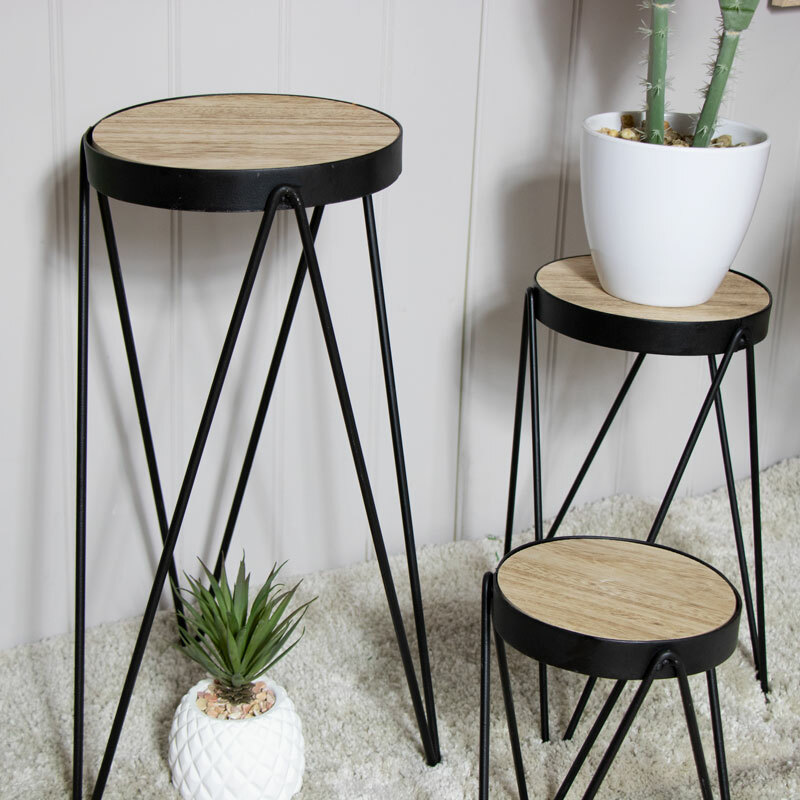 A great look for any home, these tables will easily fit in with a rustic, retro, modern or contemporary styled interior. Add a rustic, retro and industrial feel to your decor with this set of 3 tables. 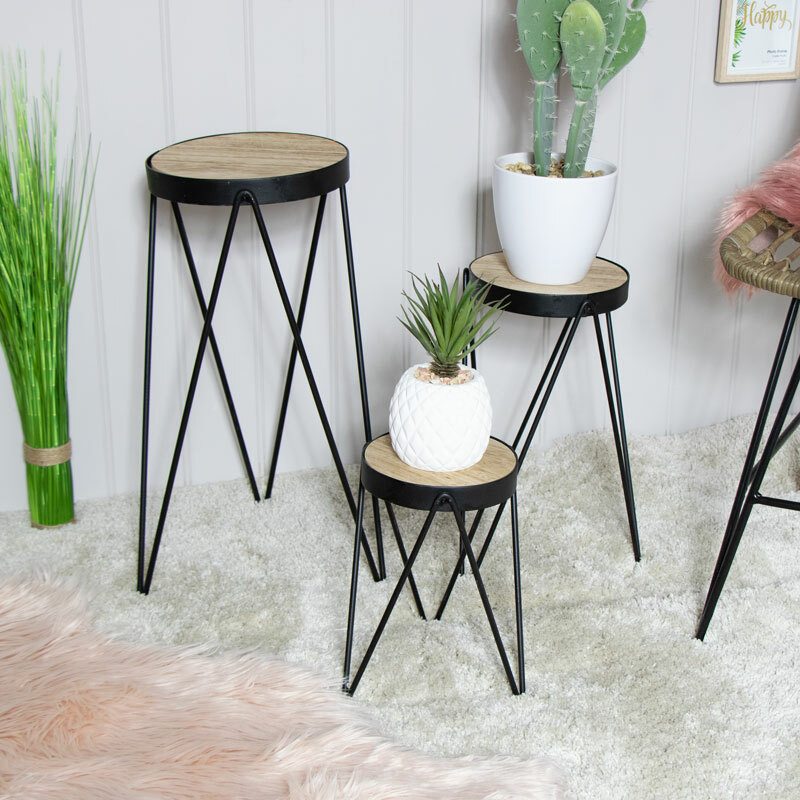 From large to small in size, these are perfect for use as side tables or plant stands. Ideal for use in the living room or hallway. Nested design with the 2 smaller tables fitting inside the larger table. Use as a set or separately for a great look. The tables feature hairpin style legs with a round tabletop. A great look for any home, these tables will easily fit in with a rustic, retro, modern or contemporary styled interior. Each table features black metal frame with hairpin legs and round natural wood table top. All tables come fully assembled. We have a fantastic selection of tables, from single to sets in a wide choice of sizes, finishes and styles.